Jaded Blossom: Hoo's My Valentine? Hi! It's Ruthie here, I am back with a super, quick, and easy Valentine's Day card. The sentiment is from the "I Hoot You" blossom, it can be purchased in the Jaded Blossom store. For more pictures and project details, head on over to my blog! OOOOOO this is super cute!!! This is soooooo cute Ruthie!!! I love it!! SO stinking cute!! I love it!! this is sooooooooo stinkin cute ! ♥ !!! 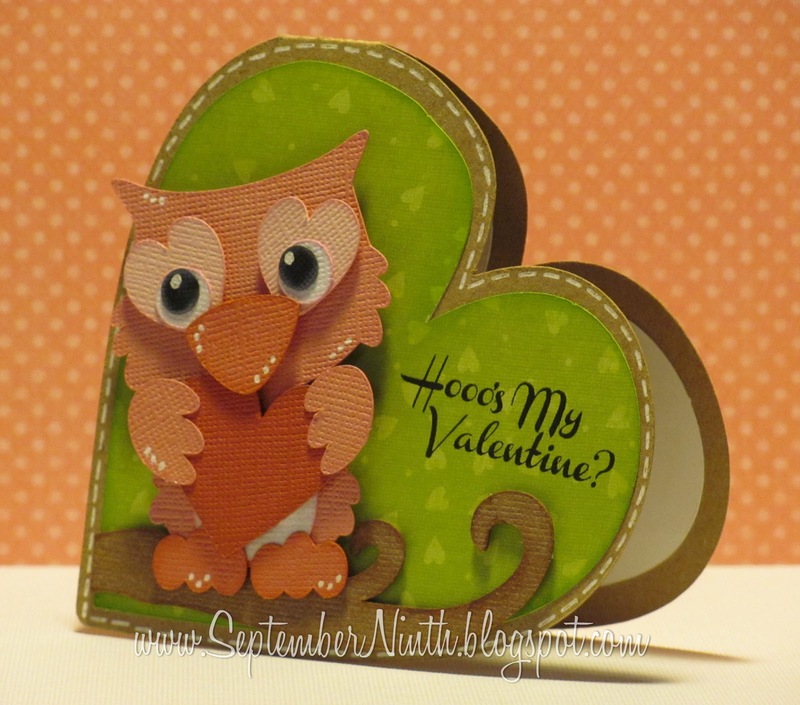 Adorable owl, and looooove that it's a shape card! !